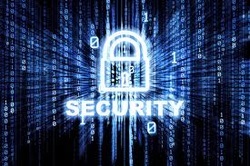 Digital Security is the protection of your own technological accounts and everything online. 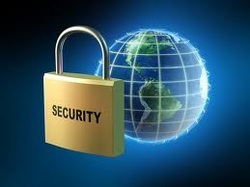 Everything that includes our personal information needs to be protected from strangers and friends. You can not trust anyone with your passwords because you do not know what they might do with it. It is not only about passwords, all of us need to have virus protection because once there's a virus on someone's device it might use or delete all data on it. Digital security is self-protection from anything that can cause harm to our devices or personal information. This type of citizenship affects everyone's personal life because security is something very essential. It affects me personally because I have to be very careful and never share my passwords with ANYONE! I must always update my virus protection and always back up my stuff. You do not know when something like this might happen and you should always take care. I think that I should always back up my information because once someone has access to my information, they can do anything with it. A good citizen is one who gets all his rights to security and also respects his one privacy. We should have limits when we put our stuff on the internet because we don't have control over them. A good citizen is one who never shares his or her password with anyone. In return to all of this, a good citizen never hacks into other people's account because if you want to have security, you should grant security to other people around you. This week's article is about Liam Hemsworth and Miley Cyrus. I just knew that they got engaged. I think Miley is too young, she's only 19 year old, but I love Liam. In the article, her father talks about her and says how happy he is and everything. My easiest class this year was IT. We had to work a lot but the work we did was fun. I had fun working on everything. I think that IT is one of the most helpful classes because everything we do is going to help us in the future. This year went by so fast. I learned so many things in IT and I think that it has been a very useful class. Everything was good, nothing could have been better. I would've liked to take IT next year but unfortunately I don't have any empty block or something. I loved this class, it was an amazing year. This week is the last week before finals. I cant wait to finish school but I still need to study for finals. I had a chemistry test today and I have a history and english project. I really have to work hard because I don't want to take the english final. The finals schedule came out. It's not really bad, I think it's good. This week's google reader article is about katy perry. I found this article that shows us pictures of katy perry with and without make-up. The difference is huge!! I was so surprised to see the pictures. She looks completely different. All of the celebrities cover their face with make-up. I like people that are natural more than the ones that look really fake. I hope everything is good! This year, the hardest class for me was chemistry. At the beginning of the year, it wasn't that hard but the second semester was really difficult. I don't like chemistry at all! I have many challenging classes but this one is the hardest. It's hard because I don't really enjoy studying it. Today, it was "Race the Principal". We missed first block but we are going to make it up after this block. I had fun watching other people run. I did not run because I get really tired. I don't really feel like taking chemistry after this block. I am so tired and I want to go home. Today, I arranged the classes I am going to take next year. I'm gonna have to work really hard to graduate. We only have 3 weeks for school. I can't wait for summer. This year has been a very hard one and i really want it to end. We have finals in 2 weeks. I hope everything goes well. I need to start studying for finals this week because I do not want to be stressed next week. We have a few events left: rose tea next thursday and falcon night the one after. I hope everything is okayy. We have 3 weeks left in this school year, 2 weeks before the finals. I really can't wait to finish this year. This weekend was amazing. I went out twice with my friends! We went to the beach.. I had so much fun! I also said with my brother and cousins because they just came back from their trip. I have a lot of work to do before the finals. I have 3 projects to work on in addition to the IT projects I have to do. I am starting to stress out about the next 3 weeks! I hope everything works perfectly.